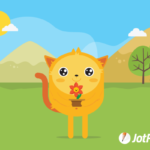 Everywhere outside of the education industry (which seems to focus on Google Forms), JotForm is the gold standard for creation of forms whether on PCs, Macs, or mobile devices. It can be used to sign up volunteers, get feedback on events, enroll people into classes, ask for donations, or collect payments. A JotForm can even show different questions based on what a user answered in prior questions. 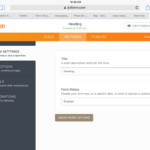 Its drag-and-drop interface makes building it intuitive, quick, and easy. With a wide variety of themed templates, it’s easily adaptable to any need. 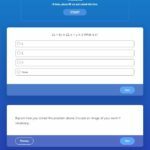 Once the form is completed, it can be shared via a link or social media, or integrated into DropBox, Google Docs, and many other popular platforms. Check this link. to see if you qualify for an education account that awards you a 50% discount on pricing. Set up an account and then decide if you want to start with a blank page or a template. 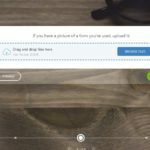 Follow the simple drag-drop directions to build your form using predesigned name/email fields, text answers, multiple choice selections, drop-down lists, an image, an upload field (where students can send their work to you), or an input table. 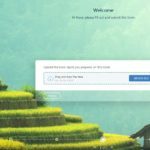 Format the form to meet your school theme or other design criteria using predesigned themes or one you upload from your computer. Collaborate with colleagues if desired. 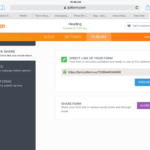 Share the completed form via a link or embed. 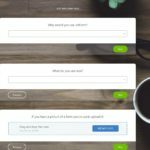 Responses can be collected in a spreadsheet, the form itself, or other third-party integrations. In many webtools, freemium online tools give a basic tool away for free and charge for enhancements. This isn’t how JotForm does it. 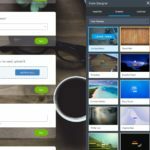 Users of the free account have access to all of the same features as paid users but with lower limits on how many forms they can create, form submissions are allowed, form views available, upload space and submission storage allotted, and the number of sub-user accounts permitted. I like that approach. No account is required. There are lots of reasons to have an account but it’s nice it isn’t mandatory. Multiple users can access the same form. I like that there are lots of videos to explain skills and share customer experiences. 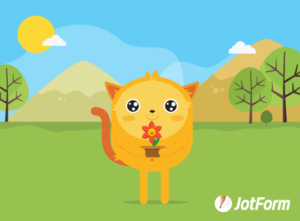 JotForm allows up to ten payment receipts a month on the free account. While most people won’t need more, if you’re a teacher-author (for example, signing up registrants for a fee-based class you teach or a book you sell), you’ll want a pro account. 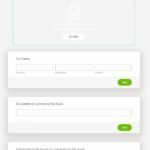 More than an alternative to Google Forms (or another online form creator), I’ve found JotForm to be the clear choice for ease of use, value, and effortless design. I don’t know how I missed it all these years. 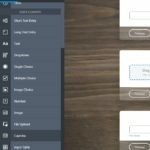 2 Responses to Highly-versatile, Easy-to-use Form Creator–and it’s free!